Home › Equipment › Drivers, Fairway Woods & Hybrids › What’s the Srixon Z 355? What’s the Srixon Z 355? Srixon’s new Z 355 line is geared to those of you that couldn’t fit into the Z 735 or the Z 545, which happens to be the majority of weekend golfers. Srixon released those lines with the better player in mind, and if you fit into that player profile they’re definitely two lines that you’ll want to take a serious look at. However, the majority of golfers need something more forgiving that makes the game more enjoyable and that’s what the Srixon Z 355 line is all about. The Srixon Z 355 driver is designed for extreme distance, and it all comes from the Action Mass technology. The Action Mass puts more weight in the club head and pairs that design with a Miyzkaki shaft that has an ultra-high balance point to create consistent and stable swings with more ball speed. The Srixon Z 355 driver will also feature the QTS adjustability with 12 different settings to fine tune the loft, lie, and face angle. The Srixon Z 355 fairway wood features the same great technologies as the driver and is very similar to the Srixon Z F45 fairway wood but has a shallower head profile to promote an easier launch with greater forgiveness. 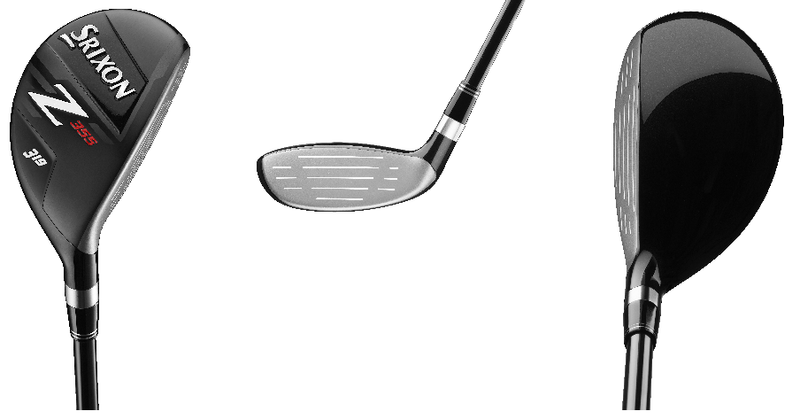 It also features a 40 gram weight in the shape of a bar that is positioned forward in the interior of the clubhead, which also aids with the higher launch while promoting lower spin. It will not have adjustability built in, but it is available in 15, 17, 19, and 22 degrees. The Srixon Z 355 hybrid features the Action Mass technology to follow suit with the Z 355 line. This hybrid is designed to fit a wide range of skills to help optimize shot versatility. It’s a forgiving hybrid that’ll hit the ball straight as an arrow. It will also be a bonded club, but is available in a 3, 4, and 5 model. Don’t miss a beat, get in touch with our PGA Professionals for all of your golfing needs!